OK, before we launch off into the discussion of Tuesday's City Council agenda, some unfinished business. The Planning Commission voted to request staff time to work on two items covered in the previous post - Commercial Vehicles parked on city streets and Garage Conversions. It was VERY clear from the discussion of the former that Colin McCarthy wants to expand a city-wide prohibition on parking of large commercial vehicles to include work trucks owned by small businessmen. And, although the staff report for the Garage Conversion subject was aimed at apartments, he expanded it to include ALL garages in the city - including yours. Commissioner Jim Fitzpatrick, busily fondling his new moustache, voted NO on this one. It will be interesting to see if the council, probably at their meeting on December 6th, will go along with these issues. The City Council meeting Tuesday, November 15th, is going to be very interesting - to say the very least. First, a change late in the day Monday announced that what had been scheduled as a Closed Session meeting at the end of the council meeting on the original agenda has been moved to 5:00 - ahead of the scheduled meeting at 6:00. One can only assume this was done to accommodate somebody's schedule - maybe our high-priced hired gun, Richard Kreisler. That's OK with me - we're paying him over $300 per hour, so I don't want him sitting there in council chambers while the rest of the meeting is conducted and his meter is spinning. As an aside, just to give you a flavo r for how the current power elite feel about city employees, Colin McCarthy, in his role as President of the Costa Mesa Taxpayers Association, crowed in a recent letter to his membership about the City hiring Kreisler and used the following statement, "The unions are represented by experienced, highly paid, negotiators. The City is normally represented by a staff member--the Director of Administrative Services. Putting aside issues about potential conflicts of interest, that’s like Elmer Fudd negotiating against the entire team from LA Law!" Talk about an arrogant, condescending attitude! And this man will almost certainly be running for City Council next year. Once the regular meeting gets going - no guarantee that it will start at 6:00 now - the Consent Calendar contains some interesting stuff again. As always, the Warrants provide a wealth (pun intended) of information. You can read #2394 HERE and #2395 HERE. In 2394 you will find that we paid the law firm of Jones Day $80,357.00 and Hanson Bridgett $4,968.69. So far, none of the November Warrants contain the payments to Jones and Mayer so I expect we'll see a BIG payment to them in the next batch next month. Number 11 in the Consent Calendar is a resolution authorizing the application and acceptance of a grant for "Selective Traffic Enforcement Program" in the amount of $225, 856.00. You can read about what that's for HERE. Here's a hint - it includes lots of DUI checkpoints and targeted enforcement actions to reduce traffic problems. As you may recall, Costa Mesa officers are regularly recognized for high achievement in DUI enforcement. 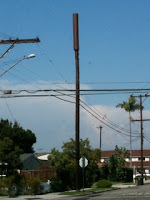 Item #12, HERE, is an extension of the helicopter support from the City of Huntington Beach through June 30, 2012 in an amount not to exceed $150,000. It's not ABLE, but it's better than nothing. Item #13 is a new RFP for the outsourcing of Tree Maintenance. You can read it HERE. Item #14 is another new RFP for the outsourcing of Park and Landscape activities. You can read that one HERE. Item #15 is an RFP for Fire Services, HERE, which is designed to include the possibility of privatization of the Fire Service in our city. Unfortunately, the Staff Analysis by our new Interim Fire Chief, Tom Arnold, was not attached to the staff report as I prepare this just before midnight Monday. That's very distressing, since I imagine he has some very significant input to make on this subject. We can only hope it is attached to the agenda for the meeting Tuesday. If you're interested in checking on the status of ALL the recently released RFPs you can do so on the chart available on the City web site, HERE. After one Public Hearing, the next item is Old Business #1, the second reading of the Smoking Ordinance, HERE. You'll recall that Steve Mensinger pulled the prohibition of smokeless tobacco from the ordinance. Guess his buddies that want to run the TeWinkle Park Sports Complex want their teams to be able to spit and drool to their heart's content. New Business #1 is the report from the Costa Mesa Homeless Task Force, which you can read HERE. This group expected to finish their assignment a couple months ago, but changes in leadership and the complexity of the subject caused it to move slowly. When you review their report you'll find some excellent progress has been made. Chair Jeff Mathews and the rest of the task force should be commended for their efforts so far. 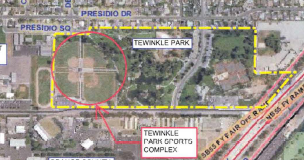 New Business #2 is the appointments to the TeWinkle Park Athletic Complex Task Force, HERE. The list of interested parties is impressive and I'm told some conversations have already begun, but not without some sparks caused by the designated vendor representative from Big League Dreams, LLC. This is going to be a VERY interesting process since it appears that the majority on the council already has it's mind made up on this subject. That's what happens when you conduct city business in a bar. The final item on the agenda, New Business #3, is Telecommunications facilities in the public right-of-way, HERE. I'll be interested to see if Mayor Pro Tem Jim Righeimer recuses himself because he's in the business of selling cell sites. This issue came up because of a cell tower installed recently about a block from my home on the Eastside of town. This image is a photo of that tower. We just never know these days what kind of bombshell one of the council members might drop during the Council Members' Reports, Comments and Suggestions section, which is scheduled at the very tail end of the meeting. You'll recall from previous reports, sometimes they get around to this segment after almost everyone in the audience has departed for their beds - around midnight or later. However, your trusty servant will be there to listen and report. Hiring a professional negotiator is a great move by the City. Look at all that has been given away through the years. Perhaps we could have avoided the pension mess entirely if one had been hired years ago. Also, there is a conflict of interest at many local governments to have staff negotiate items that they themselves will get a share of. This does indeed happen so hold off on any comments denying it folks. Geoff, do you know what Jim F.'s mustache is for? It is the eqivilent of the pink ribbon but for males. Have you ever seen anyone touching thier pink ribbon? I have. Would that be something to complain about? I can't wait for the huge tow truck to leave my neighborhood, extra wide and extra long, a safety hazard for the kids. Thanks to the Planning Commission for looking into this. It's fine with me if the guy could park it on his driveway but he can't fit it there. Vamanos. I know EXACTLY why JimmyFitzy is growing the moustache. Another reader posted the link to his Newport Beach Independent column that told us all about it. I wasn't criticizing him, just observing. Actually, his 'stache looks pretty good. Hold on comrades, this is a first. West actually had a complement for Jim Fitzpatrick for a change. What's wrong? Getting soft all of a sudden? Shouldn't the City have professional negotiators? I don't see what the criticism is? I really dislike I share the same name as that weseal. I doubt that he will win, he comes off as desperate. People get turned off by that. You can't make people like you. Perfect timing to share this video. The last flight of ABLE, many call the “Tax Payer Joy Ride”. This is offered for a couple purposes. First off, Rob Dimel is the VP of the Police Union, and is a key player in the negotiations. You can see some Dimel Math and some flawed logic here. The fact that Dimel’s headcount and associated costs are not part of Dimel Math and that he wants to compare the All in Costs of the HB Helo only the M&O costs of ABLE without Dimel’s cost factored in is just plain Bad Math, and bad faith. Second, I think this goes to examples of Dimel’s and other members of PD that display their sense of entitlement. Clearly there are elements of the video that are pure Joy Riding, at the taxpayers’ expense. You get fired for actions like this in the private sector. Keep this in mind tonight and keep this in mind every time the Police union is referenced, in contracts, in budgets and during elections / special election ballot measures. It will prove most relevant. FYI, that flight was an "on the clock", essential flight as part of Dimel's job as an ABLE pilot. I'll let him respond to your other inaccuracies if he chooses. You say essential, I say boondoggle. What part of essential is a photo op? Geoff, just think if the City Council went up on one of these flights, and took pictures of their homes, football fields, friends, their business. You would be a critic all over that like white on rice. Why the different standards? Geoff, you fancy yourself as a fiscal kind of guy. You have interpreted budgets over the years. Are you telling me you have no problem with the Dimel math comparison of HB Helo, fully loaded with only ABLE M&O, no bodies to fly the thing, which was the albatross around the neck of ABLE. You OK with that math? There have been requests to share facts. I shared facts. Now time to respond to facts. You OK that Dimel and Cop Math says it is OK to assume that their fully loaded labor costs are not to be included in a comparison against another option? Are you OK that the assumption wreaks of entitlement that they have a job for life, only to retire to the beach? Geoff, as an HR guy, can you tell me one relevant experience of yours in the private sector where your company made the financial decision to go in another direction, to stop selling a product, to close a division, to outsource a job function. And during the discussion with the employee, and employee that you trained and was moonlighting on the side, looks at you and says “Sir, where to now?” with a sense of unbridled entitlement? Just one kind sir, just one example. How are camera vanity shots and landing in what appears to be Crystal Cove State Park an essential flight as part of Dimel's job as an ABLE pilot. Eagle used to be seen over Angel Stadium during home games, were those flybys essential flights as part of Dimel's job as an ABLE pilot too? I'd like to see the explanation if there is one, hopefully these weren't very expensive joy rides at taxpayer expense. Jet fuel ain't cheap. Otherwise, with only 5 hours a day in the air, every minute wasted on this type of nonsense is inexcusable. 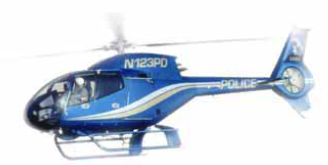 Based on the math presented last night @ Council, HB Helo saves $1.2 M a year. Dimel math proven wrong, again. Will Geoff West weigh in? I also thought Wendy"s "safety" concerns were effectively dismantled. She clearly does not comprehend complex subjects. Sad. Honestly, I am looking forward to see who Geoff West thinks are good candidates. Historically, of West thinks you are a good candidate ... YOU LOOSE. If West donates, you loose big. One exception on TOT, but the silent majority wanted that. After CEO comments, I can see it now, as one example of how West will be way off. Council debate ... Yes, Mr Perry "my pension is my" Valentine, you have taken campaign funds from Coast Mesa Fire Union? The same Union that said their temporary employee Pers contribution should be written in stone and not factored out during budget considerations? From a group who says they have always done the right thing, this is the tight thing? And, you took money from the Police Union who has not even responded? Pension Valentine, do we have this correct? Did Dimel comment again? I only ask because the Dimel hate is out in full force again. People again must be scared. I laugh at all the hate. Everytime Dimel speaks these lunatics have to TRY and discredit him. "Dimel Math" I love it. So when Righeimer speaks can we call it "Righeimer Math?" Geoff, That cell phone tower is disgusting. Way to make it look good and drive down home values. When are people going to get a clue that EMF's are carcinogenic and becoming a leading cause for demyelinating brain disorders. Some day their will be a high profile class action suit and the towers will not be within 300 feet of a elementry school. @ O, Riggy had a column called "Rigonomics". I am NOT a council member and am not slated to be one until 2014 just to set the record straight. McCarthy, Mensinger and Monahan are winning this year. The next election is when I am winning along with Riggy's re-election.